Tria Laser is a device cleared by the FDA for permanent hair reduction for home use on the legs, bikini line, underarms, feet, arms, hands, chest, and back. It requires multiple treatments to have the best results. Update. This piece is about a previous model. Read about the Tria Laser 4X with a built-in skin sensor. and display window. How Does Tria Laser Work? A diode laser uses beams of light heat on the follicles to disable them. The latest model has five adjustable settings from low to high (previous models had three). The highest setting uses the most heat and will give better results. Those with light skin tones (white, ivory, beige and light brown) can safely use Tria. The system comes with a skin sensor that will test your skin tone and determine if it's light enough to use. Only if your skin passes with a green light, will the laser unlock for use. Scarring, blistering and burning can result if it's used on skin tones that are too dark. Because this laser is targeting dark pigment, white, gray, blond or red hair will not benefit from using the system. Even if the hair is darkened with color, the hair follicle won't absorb enough laser light to be effective. That depends on a lot of factors, and everyone has their own tolerance to pain/discomfort. You might feel more pain if you have sensitive skin or very dark or thick hair. Using the highest setting will also produce more heat, and of course, more likely to give you pain or discomfort. The first time using the laser is usually the most uncomfortable and then subsides with further uses for most people. Hair grows in different stages: growing, resting and shedding. 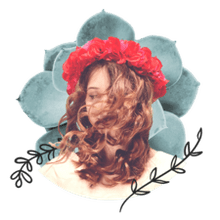 Because all of the hair isn't on the same stage at any given time, multiple treatments are needed to get the hair in the growth phase, for the laser to be most effective. So 6 to 8 treatments are recommended, 2 to 4 weeks apart. Laser hair removal can lead to permanent hair reduction, and on January 11, 2010, this system was FDA cleared for permanent hair reduction. Users of Tria Laser reported "70% reduction in the amount of hair after just three treatments. Hair that did grow back was perceived to be finer and lighter," according to the information packet provided by the company that makes Tria. Initially, the price was $995 when released in early 2008. February 24, 2009, a new version replaced the old one boasting a 20% reduction in price at $795, and quicker treatments with the laser firing two times faster. In November 2009 the price dropped to $595. June 9th, 2010 the price dropped to $495. A newly designed model with a built-in skin sensor, digital window, faster treatments and other features was released on March 30, 2011 , for $395. 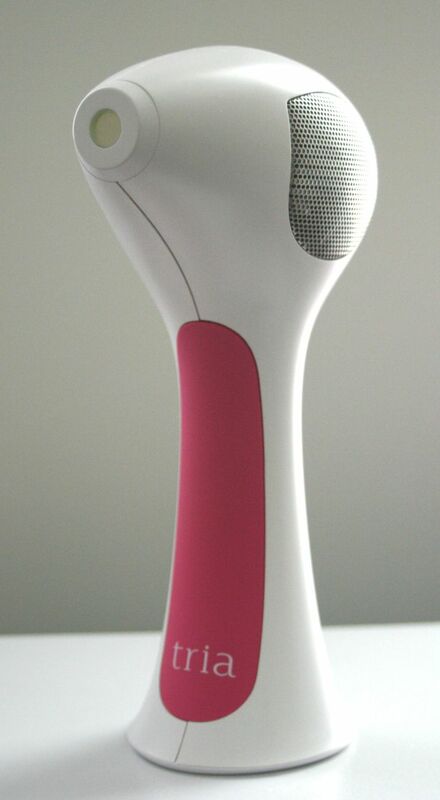 Tria Beauty Company points out this model (with five settings) is capable of delivering over 200,000 pulses (500 charges with each charge delivering 400 laser pulses) and sufficient for most women to treat their entire body. When it runs out, you would need to buy another device. Read about my journey testing on my bikini line, starting with testing Tria part I.